Recycling Works: Does Rain and Moisture Affect Recycling? Does Rain and Moisture Affect Recycling? Many of us take our trash and recycling out the night before it will be picked up to ensure that But if it’s raining, does the rain affect the quality of recycling or its ability to even be recycled? Unfortunately, the answer for some commodities is “yes”. we remember to take it out and so we get it out before the truck comes on our service day. Rain on material like aluminum, metal, plastic, and glass doesn’t pose any type of problem. Cardboard and paper are a very different story. Commodities are sold by the ton. The moisture level of baled paper or cardboard should only enhance the selling price of the bale, but buyers are all too familiar with high water content being the culprit for heavy bales. Some, therefore, use a moisture meter that probes deep inside the bale to measure the moisture levels. Most buyers of commodities allow a certain percentage of variance on moisture in paper and cardboard, with anything beyond those levels being deducted from the total weight of the bale. Sorting becomes a problem with wet paper and cardboard as well. 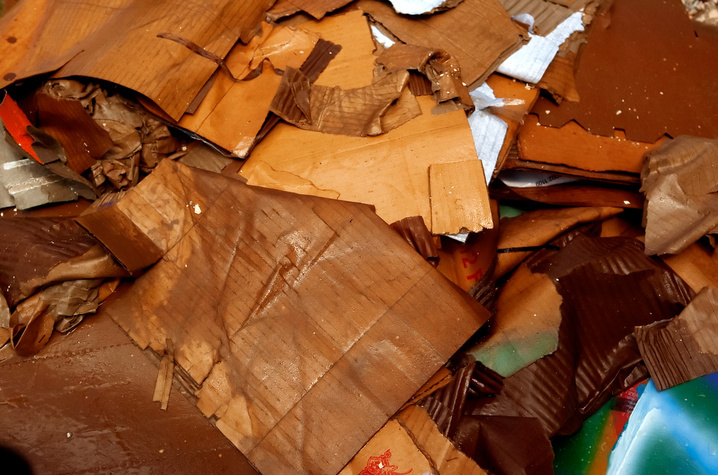 Considering that sorting process a faster-paced system, paper or cardboard that sticks together or to other materials slows down the whole process. If the material is too wet, the whole recycling load could be rejected. For best results in rainy conditions, place your recycling out as late as possible to still get service. This will ensure that all of your time and effort to sort out recycling does not go to waste. For more information on recycling visit www.wasteawaygroup.com. Best car wreckers and car removal in Melbourne. C-D wreckers offer cash for car up to $8000. Here you can sell your used cars. Car Buying Service. You have discussed an interesting topic that everybody should know. Very well explained with examples. i have found a similar websitepaper disposal services visit the site to know more about complete shredding. Ezy Cash For Cars Offers Free Car Removal Services in Brisbane, Sunshine Coast, Gold Coast and Sydney. We Offer Instant Cash for Cars Brisbane up to $9999"
Are Frozen Food Containers Recyclable?